With the IdeaPad S12, Lenovo, as rumored, is first out of the gates with a netbook based on Nvidia's Ion chipset, and it's a hell of a promising start: this 12-inch netbook promises the whole HD-playing, game-conquering Ion experience for around $500. First, a refresher: Nividia's Ion platform is essentially Intel's Atom processor combined with the decent Nvidia 9400m graphics unit. The resulting performance isn't independently mind-blowing, offering smooth 1080p video decoding, including accelerated h.264 playback, Blu-ray playback and moderate gaming capabilities, but put into the context of existing Atom netbooks, it's a revelation. Though technically not the first Ion-based product—that honor goes to the Acer Revo nettop—this is the first netbook, and frankly, it's exactly what we were told to expect from the start: a midrange, 12-inch netbook with a multimedia bent. It's a followup to the company's existing S9 and S10 IdeaPads, and, excluding the ION—a $50 option, unfortunately—it's not that different from its smaller stablemates. The screen resolution is higher, at 1280x800, but therein lies a slight problem. Ion's banner claims revolve around HD video playback, and 1080p video won't be viewable on the S12, except on an external screen through its HDMI output. That said, the difference between 720p and 1080p video on such a small would hardly be noticeable. 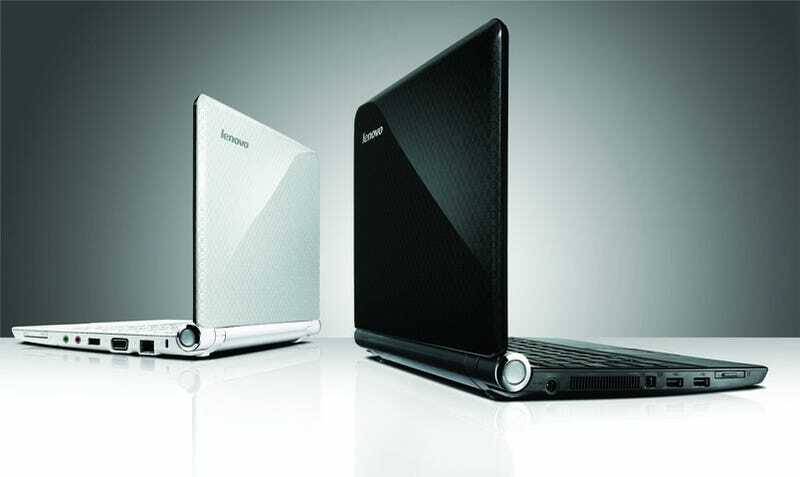 The IdeaPad S12 netbook will be available in June through business partners and HYPERLINK "http://www.lenovo.com" www.lenovo.com. Pricing for models starts at $449. Models with the NVIDIA ION graphics will be available later this summer. Lenovo (HKSE: 992) (ADR: LNVGY) is dedicated to building exceptionally engineered personal computers. Lenovo's business model is built on innovation, operational efficiency and customer satisfaction as well as a focus on investment in emerging markets. Formed by Lenovo Group's acquisition of the former IBM Personal Computing Division, the company develops, manufactures and markets reliable, high-quality, secure and easy-to-use technology products and services worldwide. Lenovo has major research centers in Yamato, Japan; Beijing, Shanghai and Shenzhen, China; and Raleigh, North Carolina. For more information see HYPERLINK "http://www.lenovo.com" www.lenovo.com.